Looking for homes for sale in La Grande. La Grande a community in Union County with a population of about 12,500 in Union county and is home to the County Seat. La Grande Main Street was re-organized in 2008 and has been making many improvements to its downtown. The façade program has been the stimulus for property owners to make many improvements to their buildings which has made a significant impact to making downtown more inviting for business owners relocating to downtown. Custom Southside home, 3BD, 2.5BA w 2 living areas, full bar w pool table, office & large bonus rm w built in Murphy bed. Covered front porch & large back deck for additional outdoor living. Full RV hookup on large paved lot. Mature landscaping w automated underground sprinkler system. 4 car attached garage plus a shed. The Ridge Subdivision, 3948 sf, m/l luxury home with an attached oversized 3 car garage. Custom built in 2010 ready for you to add your own touches. Why build enjoy your summer this year the work is done. Gourmet kitchen with eat bar, 5 bdrms, 4 bathrms, gas fireplace plus 2 living areas and a formal dining room. Set high to enjoy the panoramic view of Grande Ronde Valley. Large attic storage. Spectacular Custom Home with million dollar views on 22 tranquil acres! The impressive grand foyer welcomes you into the quiet sophistication of luxury and beauty. Here’s web links for our surrounding communities. La Grande is also home to the Eastern Oregon University. The University provides the community with diversity of Arts, Theater, Science and a multitude of sporting events. Eastern Oregon University also provides a key economic stability for Union County. La Grande is a community of volunteers and one of the projects that they are working on restoring the Liberty Theater. This has been a project that has been evolving over the years. The Liberty Theater will provide the opportunity for drama plays, music and other events for the public. 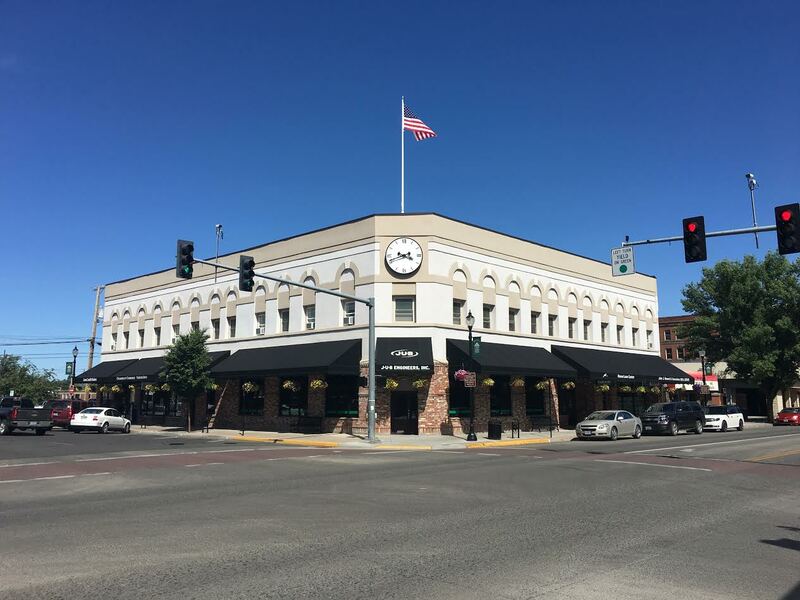 Downtown La Grande has witness a regrowth of business and development. Building owners have made improvements to their store fronts and to the interior of their buildings. The La Grande Main Street and Downtown has encourage the development and participation of community events. This includes the Crazy Days, Eastern Oregon Beer Festival, Halloween trick or treat and the Christmas Parade. Some one of the major employers in Union Counter is Boise Cascade. They have been a employer since the 1960’s. The company has a sawmill located in La Grande and a Particleboard Plant located in the Baum Industrial Park. There Elgin complex consists of a plywood plant and a studmill plant. There is also two large RV manufacturing plants in La Grande. The Outdoor RV which has been expanding their operations and Nash travel trailers. La Grande is a regional shopping center for area residents of Union, Wallowa and Baker Counties. La Grande has two industrial sites for business opportunities. The Baum park is located along HWY 82 and the Union/Wallowa rail line. It’s home to the Outdoor RV manufacturing and the Boise Cascade Particleboard Plant. The other industrial park is the La Grande Business Park. It’s design ed for light manufacture and non-retail commercial use. Both La Grande industrial sites have land available for purchase. Grande Ronde Hospital is located in La Grande and provides excellent health care to the area residents. Grande Ronde Hospital is another very large employer in La Grande. Union County has one of the most diversified economies in Eastern Oregon. If your looking for homes for sale in La Grande, you can find a great selection of properties to choose from. There is also a good inventory of commercial properties for sale in La Grande, if you are looking for farm properties for sale in La Grande Oregon or in Union County there’s a good selection. We also have a good selection of ranches for sale in La Grande Oregon.